Check-in is from 2:00 pm to 9:00 pm. Arrivals after 9:00 pm are subject to a $25 late fee. If you know will be late, please let us know in advance. You must reserve your room with a credit card. However, your credit card will not be charged until you arrive. Payment in full is due upon arrival. We accept credit card, cash, or checks (issued by a U.S. bank). 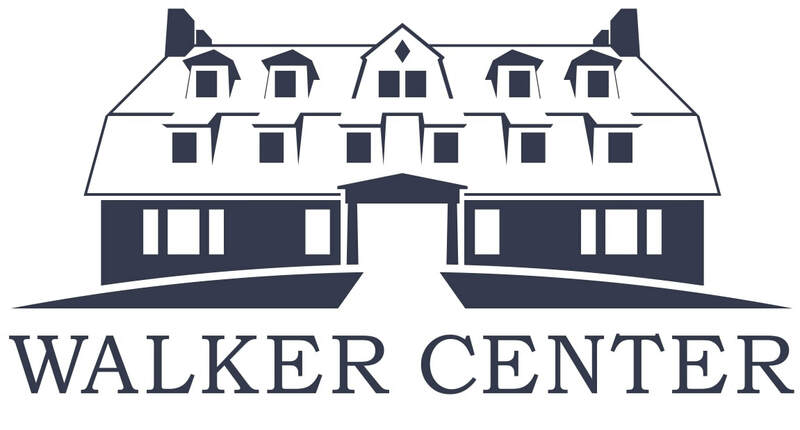 We're sorry, but we cannot allow any pets, other than certified service animals, to stay in the Walker Center Inn. If you have a service animal, please let us know in advance. Your service animal should be wearing her/his service vest while here. Thank you for understanding! In most cases, you may cancel your reservation within 48 hours of your scheduled check-in without penalty. If you cancel after that time, you will be charged for one night. At certain busy times such as Patriot's Day, any cancellations made prior to one week of your scheduled check-in will be charged a penalty. Guests making reservations during these busy times will be informed in advance of the cancellation policy. Please note that we do not provide turndown service, and we do not typically replace towels or sheets during the course of someone's stay--unless someone is staying longer than 5 days at a time. We do this in order to conserve energy and to keep the costs to our guests as low as possible. Hairdryers and ironing boards, if not found in your room, may be available in the main office in the Walker House during business hours. We cannot always guarantee that we can place guests in the room selected during reservation. On the rare occasion that we cannot honor a room selection, we will do our best to accommodate guests in a comparable room. We charge a $25 fee for all returned checks. We cannot provide overnight lodging for more than two weeks to any individual or family. Unaccompanied minors are not permitted to stay at Walker Center. There is no smoking anywhere on Walker Center campus. Each of our Walker House suites has two rooms and a private bath. Prices may vary from season to season, but generally hover around $85/night for one person. $15/night for each additional person. Children under 8 are free, except for a small cleaning fee. We often have rooms available in our guest houses, when not being used for conferences or retreats. Each room-set offers a private bath. Accommodations for 1-6 persons, pending availability. Breakfast is included in the main house. We have a limited number of single rooms in Walker House, with shared hallway baths. Guests may store luggage in the reception area during the day if a room is not yet available. However, this area is not locked. Walker Center is not responsible for any lost or missing items. ​In order to keep our rates affordable and to reduce water consumption, we do not provide housekeeping services during your stay. Extra linens are available at the front desk.